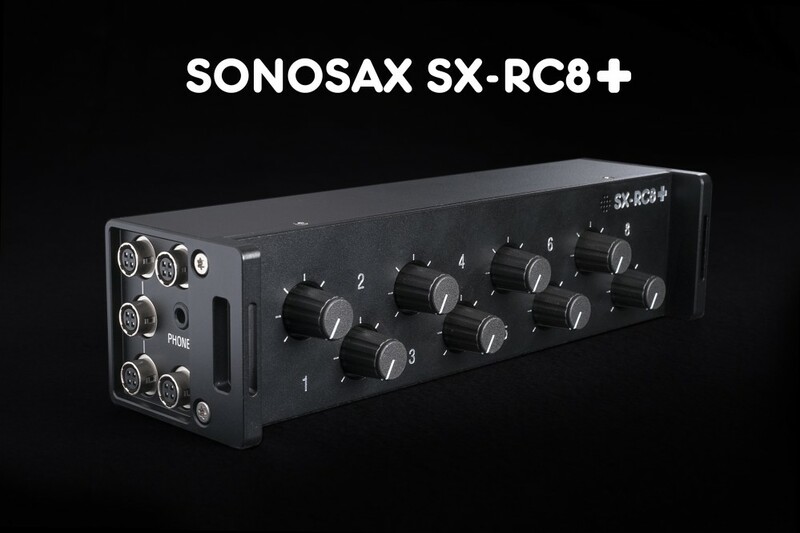 A dedicated front panel for the SX-R4+ providing 8 rotary faders with function switch to extend mixing facilities in the field. 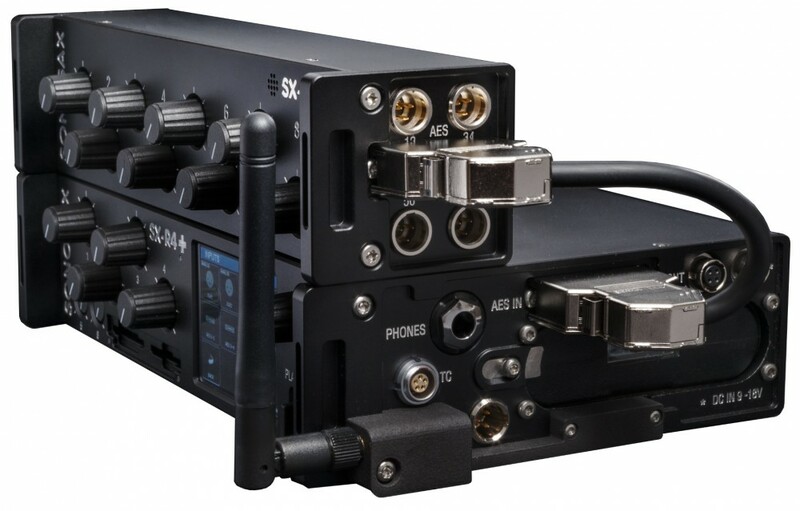 The SX-RC8+ provides 4x TA-3M connectors used as AES breakout box for the multi-pin AES input connector on the SX-R4+, allowing easy connection of AES sources such as digital wireless receivers, and 5x Hirose 4-pin for power distribution. 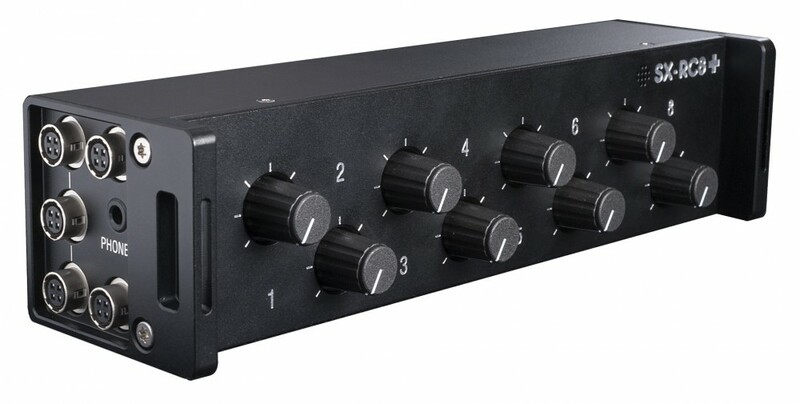 It also offers an additional phone output and a Slate/Com microphone.